Don't miss Fun night at Defy Gravity! We love books! How about you?! The Eaton PTA and our school's fantastic media specialist, Mrs. Parker, are excited to welcome Bedford Falls back to Eaton for our Spring book fair! Students will be invited to share their love of reading by filling out special Valentine’s hearts that will be hung in the library during the book fair. Extended Hours & Discount Opportunity – Thursday, February 16! The Book Fair will be open during STEM Night on Thursday, February 16 - 5:00-7:30pm. Students who complete 4 STEM activities will receive a 10% discount on book fair purchases that evening! Family & friends are invited to shop the fair any time during the week! We'll be open from 7:30am-2:00pm every day, with evening hours on Thursday. Please come by during drop off in the morning (park in side lot, near buses), have lunch with your child and browse the fair, or take advantage of the discount opportunity available to STEM night participants. We're happy to help you find titles from your child's wish list or pick out a book you think they'll like! Please ask the Book Fair volunteers about teacher wish lists! This is a great way to spread some love to your child's classroom! 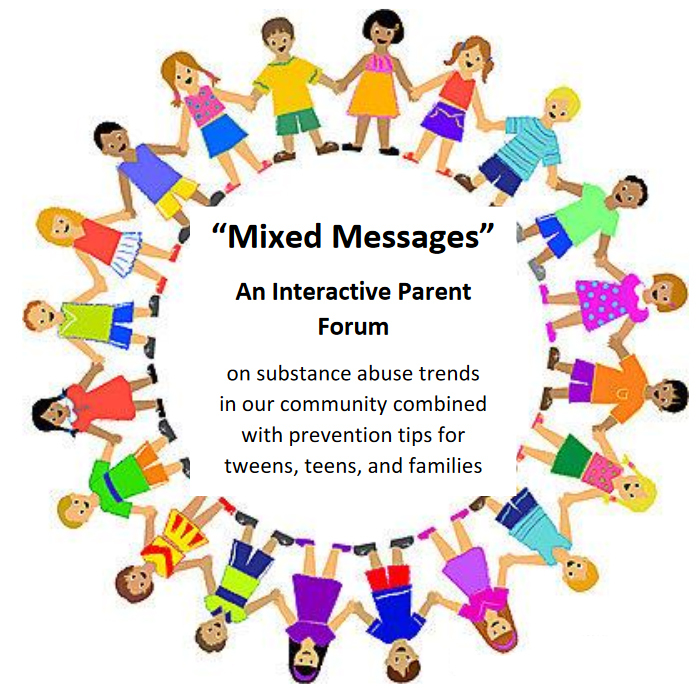 The goal of the forum will be to provide information and empowerment to parents about drug trends and ways to raise healthy families (prevention messages).